In 2012, Bend was nicknamed DogTown USA by Dog Fancy Magazine, and for good reason. There are few places within the United States that you will find that are as dog-friendly as Bend Oregon thanks to the abundance of canine-friendly recreation, businesses, pet friendly lodging and restaurants. 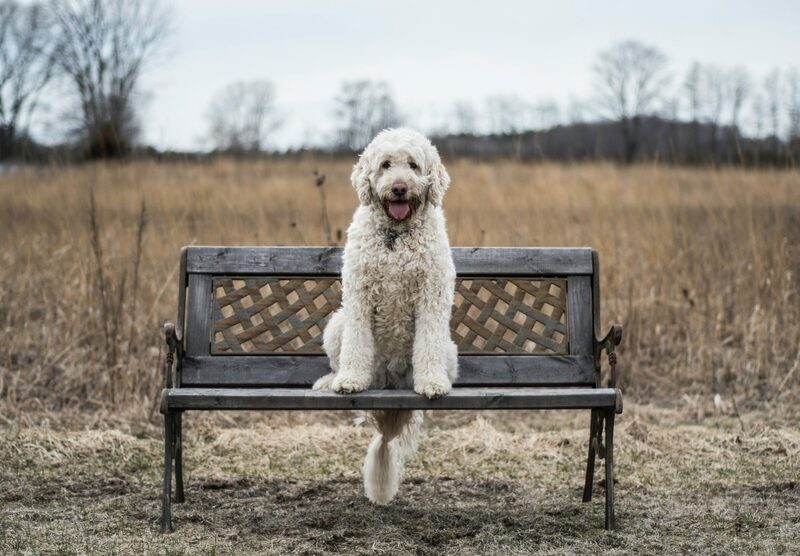 You can also find quite a few parks that have dog-friendly off-leash areas for your pooch to run free and play with other four-legged friends. With the upswing in tourists looking for pet-friendly travel opportunities as well as the fact that 49% of Central Oregon’s residents own at least one dog, the need for dog-friendly accommodations is a necessity in the town of Bend. So, why should you make Bend your next stop for a vacation with your canine friend? You are about to find out! What does an ideal date with your pooch look like in Bend Oregon? Get an early start and get some exercise in the great outdoors. Visit one of the off-leash park areas or hit the trails if you want to see some of the best views in Central Oregon. During the winter, you can enjoy the snowshoe trails together, while summertime brings water play and outdoor concerts. There’s no way to avoid eventual hunger for both of you, so stop in at one of many restaurants and breweries that offer pet-friendly dining areas. 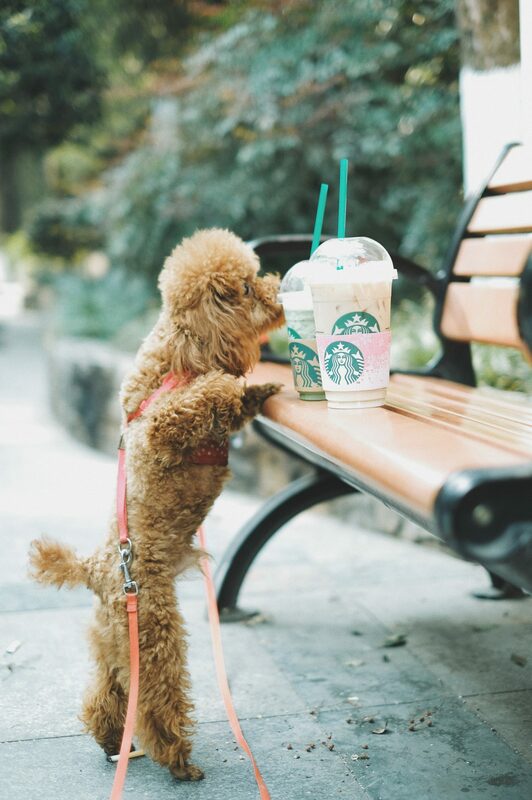 You can even grab a treat or brew for your pup too. 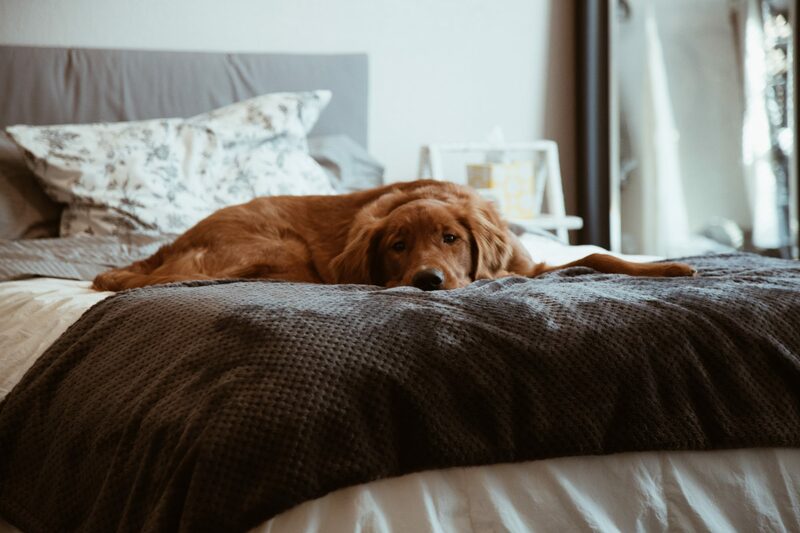 At the end of the day, you can chill together in your pet-friendly hotel room, resting up for another day of exploring the streets and trails of Bend. Parks are a great way to spend time with your pooch in Bend, especially when so many have off-leash areas for them to run free. Below, you will find some of the best off-leash areas for your dog to explore in Bend. You can check out our full guide to Bend’s amazing dog parks here. If you find yourself closer to Mt. Bachelor, you can also check out Ruffwear Dog Park. Located next to the resort’s West Village parking area, this off-leash dog park offers toys for your dog to play with, a groomed “snow-play” area, and provides dog waste bags for your convenience. Keep in mind to treat your dog like you would your child when allowing them to play in the off-leash areas. Stay within sight of your dog, close enough to call them if need be, and clean up after them. Remove your dog immediately if they exhibit any sort of aggressive behavior. Be sure to visit the Bend Parks & Recreation site for a complete list of detailed rules regarding conduct when visiting the off-leash park areas. 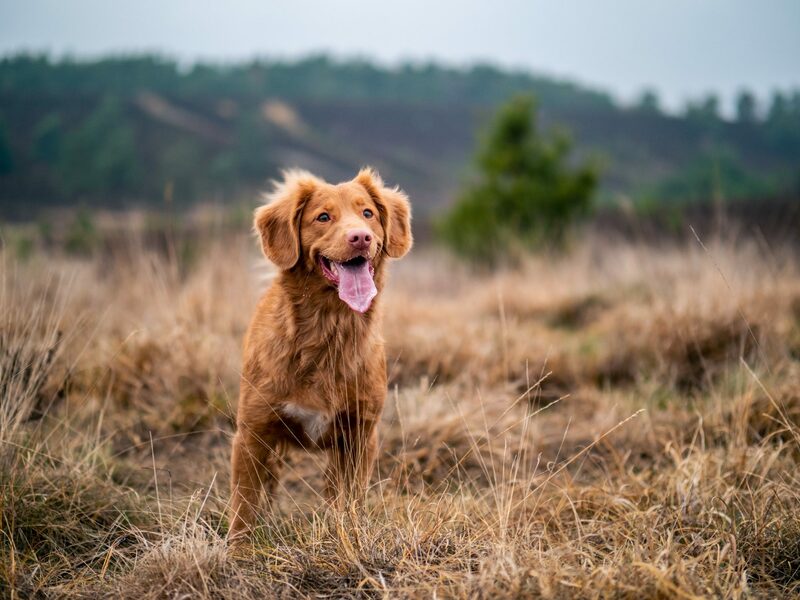 Parks aren’t the only way to enjoy the great outdoors with man’s best friend; a romp through the mountain trails is a great way for both of you to get your exercise. Whether it is a simple walk or a more rigorous hike, Bend has seemingly endless trail options for every type of recreation. Deschutes River Trail – dogs must be on leash on the trail, but they are allowed off leash in the water. The Badlands (Badlands Rock Trail, Flatiron Rock Trail, Tumulus Trail) – dogs may be off leash, but be prepared to encounter other hikers, horseback riders, and various wildlife. North Fork – dogs are allowed off leash, but just wait to unleash until after you pass the viewpoint for the falls. Good Dog! Trails – dogs are allowed off leash year round. Wanoga Trail – groomed dog-friendly trails in the sno-play area. Edison sno-park – make sure there is sufficient snow as lava terrain can damage paws. Tumalo Creek Trail to Tumalo Falls – lightly trafficked and open to dog use. Hidden Forest and Arnold Ice Cave Trail – very short, dog-friendly trail with beautiful wild flowers. Metolius River Trail – an easy, 6-hour hike with your pup (12 miles total) that is quiet thanks to mountain bikes and horses being prohibited. Todd Lake Trail – wide trail leading to the popular Todd Lake and walk-in campground; leashes are strongly recommended due to crowds. You can also check out Mt. Bachelor’s pet-friendly Pine Marten chairlift during the summer, which is equipped with a full body harness. 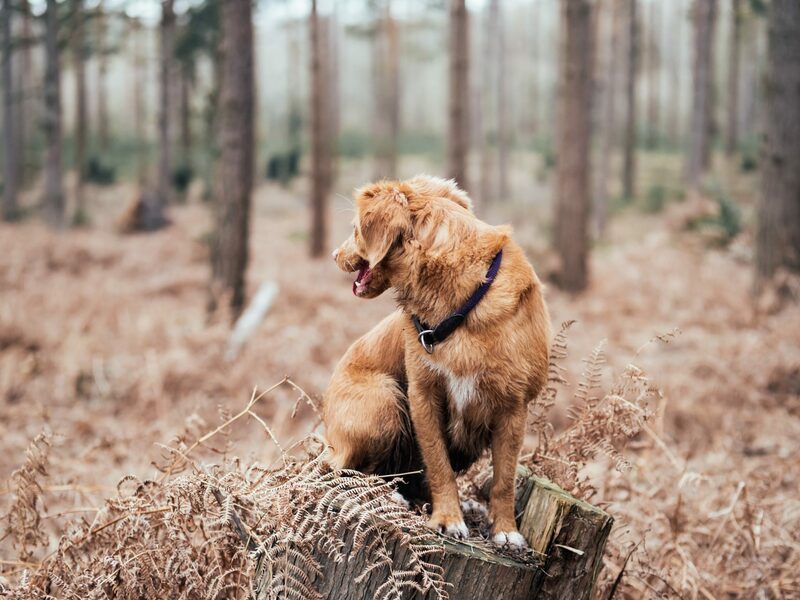 Stick to the approved hiking trails for dogs, and know that there is no off-leash area available in the summer due to protected wildlife and vegetation. Who says dogs can only have fun outside in the summer? Bend has some unique pet-friendly winter activities you should check out. 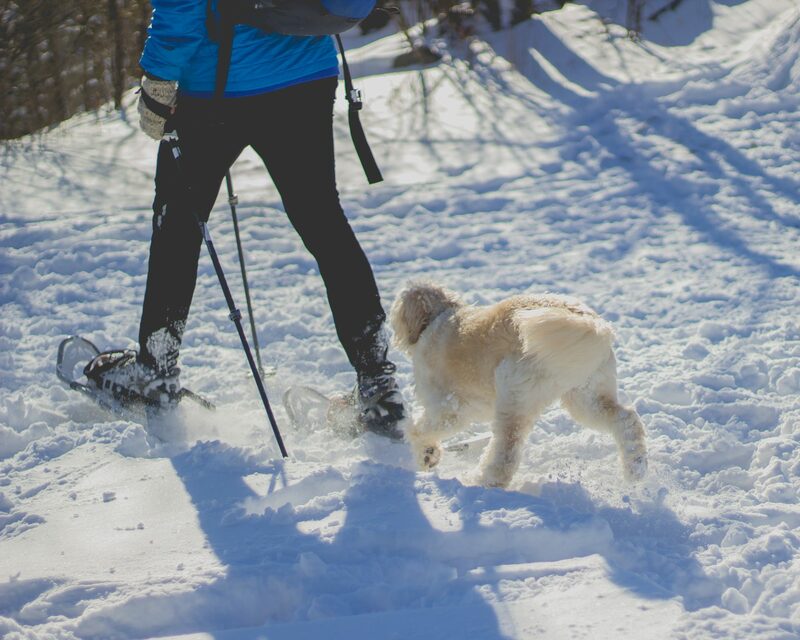 We already mentioned a few good trails to hit with your pup during the snowy winter months. Check out Wanoga trail with their groomed dog-friendly sno-play areas. Or you can head over to Edison sno-park or Skyliner for lower elevation options (note: these are not groomed). Snowshoeing into Tumalo Falls is another excellent dog friendly winter outdoor activity. Hop on up to Mt. Bachelor to give Skijoring a try – a winter sport that combines Nordic (XC) skiing with “puppy power”. What a fun way to have some play time with your pooch while still fitting some skiing into your vacation time. 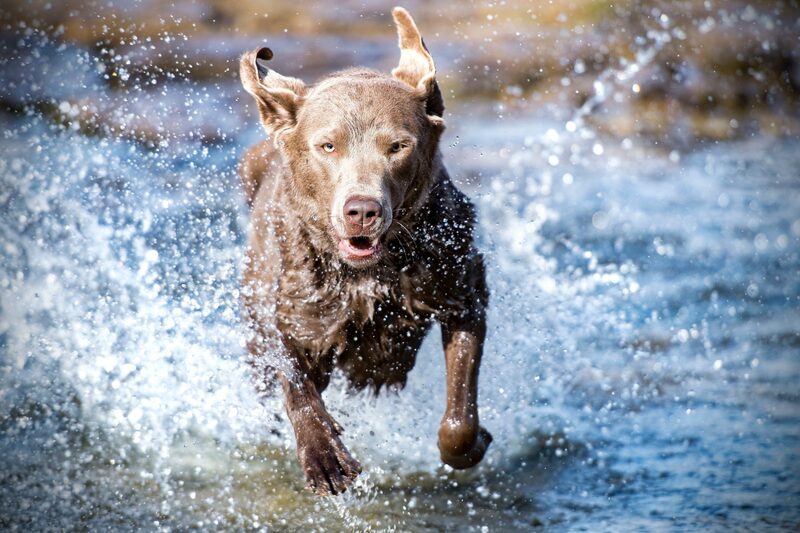 When it’s time to cool off, take a splash and enjoy some water recreation with your dog. Not only can you play a fun game of water fetch and some swimming off the Upper Deschutes River trails but you can also enjoy some water sports together too. You definitely need to check out Ruffwear (yes, the owners of the off-leash park on Mt. Bachelor) for all of your dog’s sporting needs. The company can outfit your dog with a life jacket and prepare them for whitewater rafting, kayaking, fly fishing, standup paddleboarding (SUP) and more. Everyone needs a snack once in a while, including your canine buddy. You are definitely going to want to check out Mud Bay, Bend’s local natural pet food store. Each month, they find new, well-made toys, foods, and treats for dogs and cats, so you can always count on quality. Sometimes your pup needs a little TLC too; a trip to the spa isn’t just beneficial for their human after all. 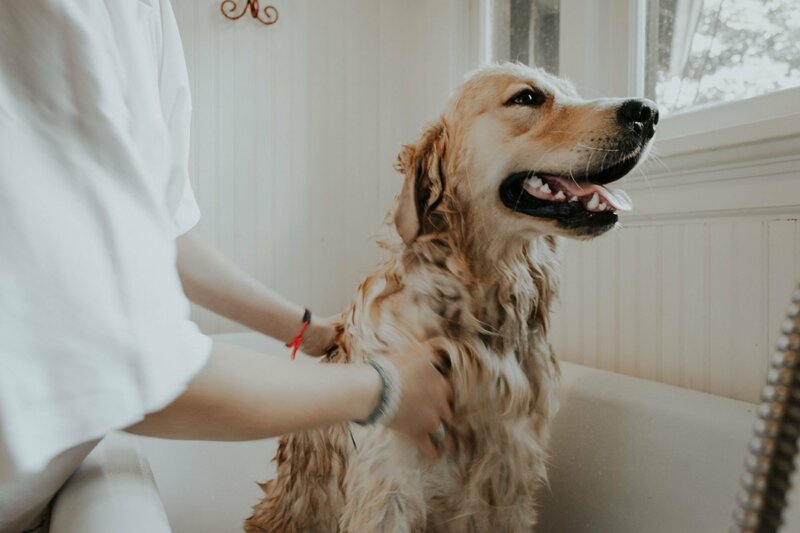 Most places give you the option between booking an appointment with a groomer or simply providing what you need in order for you to wash your dog yourself. You don’t need to have a full day of events planned to enjoy time with your pup; sometimes a nice stroll through Bend is enough for both of you. Most of downtown Bend is dog-friendly. You can take your pup into most of the stores you come across. They are also welcome on the patio or outdoor seating areas of most local restaurants. Even if you don’t plan to stop in all the shops along the way, you can enjoy a nice scenic stroll through town. Check out the city’s historical buildings along the way while breathing in the fresh air. You can even take a virtual tour by downloading the Deschutes Historical Museum mobile app on your phone. Nothing is better than sharing a beer with your friend – that is except when it’s with man’s best friend, your closest companion. As previously mentioned, most eating establishments have outdoor seating where pups are welcome. You can relax with a local brew while your four-legged friend laps up a bowl of water or munches on a new treat. See a full list of Bend’s dog friendly breweries here. Believe it or not, you can even find a Bend-born brew special just for dogs: the Dawg Grog. This liquid treat combines the craft beer side of things while incorporating health and nutrition. Made with brewer’s wort as a base – without the hops that are harmful to dogs’ health – vegetarian K9 glucosamine, and vegan trace mineral supplement, this dog-friendly drink is both 100% vegetarian and healthy for your furry friend. 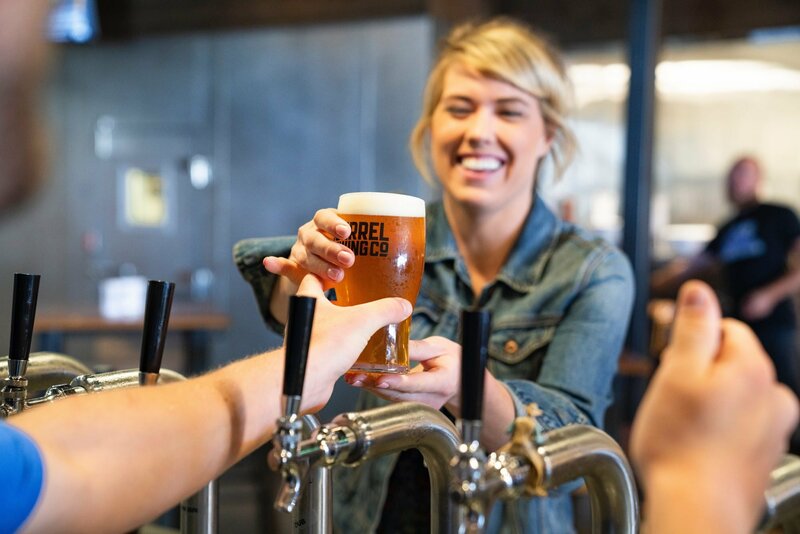 Continue reading on for a more complete list of the dog-friendly breweries, restaurants, and cafes found in Bend. 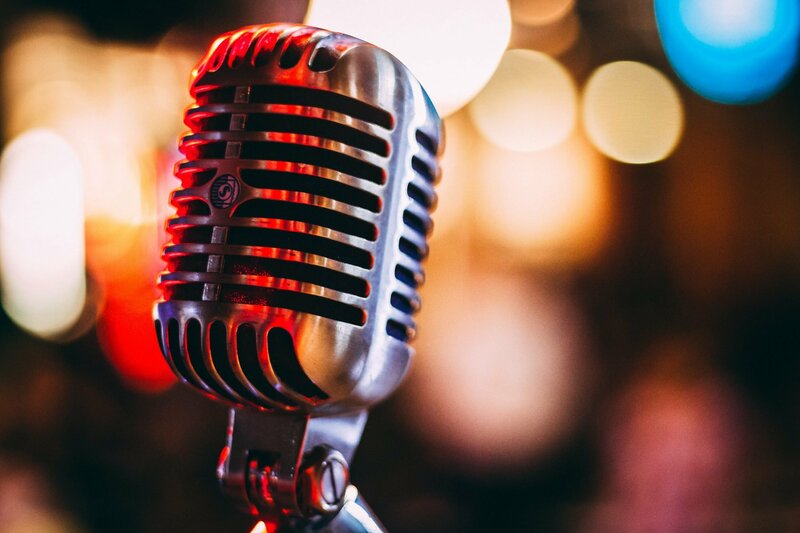 Music is a great refresher for the soul, so why not take it easy with a laid-back day of outdoor concerts and local jams. Summer is the best time for outdoor concerts, especially at the Les Schwab Amphitheater (LSA) located in the Old Mill District of Bend. Now, only service animals are allowed into ticketed events here, but you can find free dog-friendly concerts every Sunday during the summer (from Memorial Day weekend through early fall). These summer concerts have been a yearly event for the past 15 years, however they decided to take a break in 2018 with plans to reinstate once the time seems right again. Stay tuned on their website for more information. Read our guide to the best pet-friendly hotels in Bend. Booking a stay in Bend with your dog also means finding pet-friendly lodging. Luckily, there are plenty of hotels, bed and breakfast, and Airbnb options available around town that allow pets. 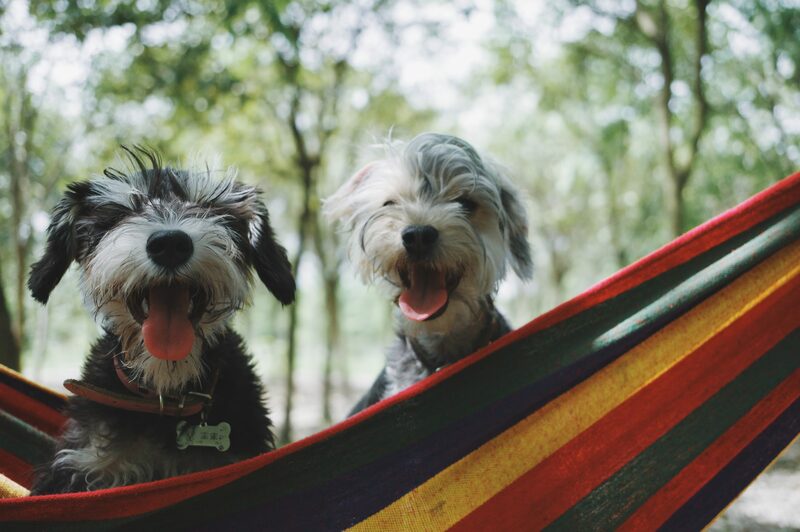 Your best option is likely going to be an pet friendly Airbnb or vacation rental as it is more likely that you will find yard space for your dog to roam and take care of business. Another great place to look for pet-friendly vacation rentals is at Alpenglow or on Booking.com as well as on Hotels.com. There are several properties available for rent with no extra pet deposit required. Simply add $20 to your daily rent. There are also several hotel options available close to downtown Bend that allow pets. Try My Place Hotel on SW Bond Street for a good bargain, or splurge a little and stay at Wall Street Suites for a bit more luxury. Food is a necessity for every living being, and Bend has some of the best local eats that Central Oregon has to offer. 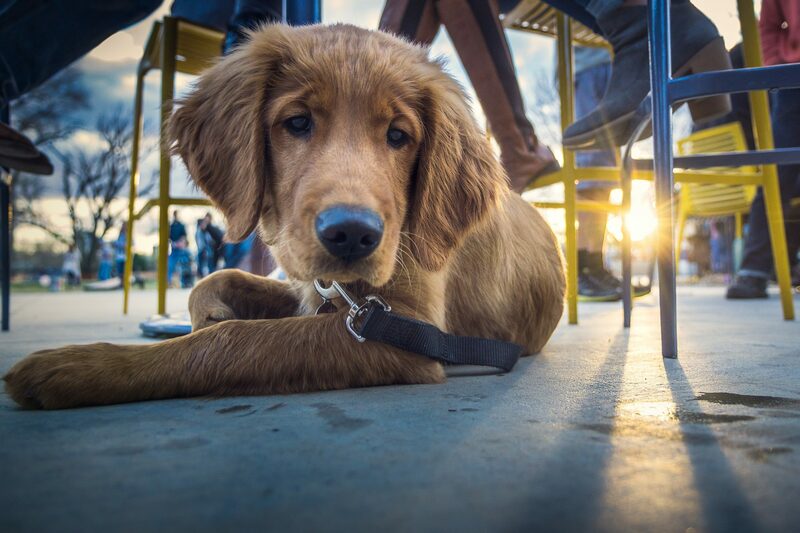 Almost every eating establishment in downtown Bend – restaurants, cafes, and breweries – has some sort of outdoor patio or seating that is pet-friendly. Some may even offer a treat or refreshment for your canine. While some places may label themselves as “pet-friendly,” you may still get some side glances from staff or diners if your pup is less than silent and still. However, most – if not all – places on our list are truly dog-friendly. Grab a brew and relax on the lawn at the Bend Brewing Co. Enjoy a bite on the patio at Spork, where they not only serve you but bring water and food to your faithful companion. Even the best of friends can get tired of each other and need a changed of scenery. Or you may simply need some time for yourself at the spa, which isn’t so accommodating for pets. In these cases, a good pet sitting service or doggie daycare may be just what you need. Kindred Spirit on 85thPlace is highly recommended for its cage-free boarding and daycare. Your dog is free to roam three acres of land, closely supervised for playtime between meals and naps, which they enjoy as a group inside. They even offer meet and greet sessions so you can make sure your dog is comfortable with the caretakers before leaving them for a longer time. Another great doggie daycare is Dancin’ Woofs, which prides itself on being the home of the happy dog. Not only do they watch your pup for you, they also offer companionship skills classes, pet therapy, and agility training. They focus on not only training your dog but also providing you with a full understanding of your pup’s behavior, health, and thoughts.